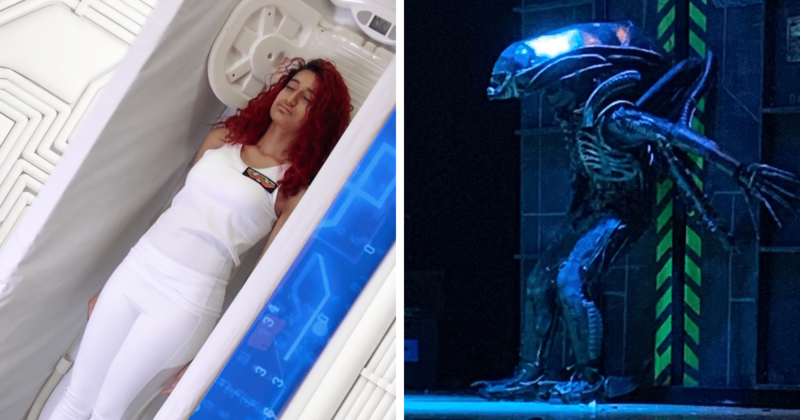 As for why the club chose ‘Alien’ for their production, there were a few reasons for it. “I believe the idea spurred up because the teacher in charge of the entire operation, Mr. Cuervo, saw a failed production and it being the 40th anniversary,” Justin said. “I think everyone’s reaction to it being Alien was similar to mine where I was just like “That’s crazy. How are they pulling this off?” he recalled his colleague and his reaction to the announcement of the idea.